It won’t be long before 10 Downing Street will no longer be the only famous “No. 10” in Great Britain as London-based scientist and entrepreneur, Dr. Richard Hoptroff, will soon be unveiling his first ever watch – the Hoptroff No. 10 – at SalonQP this November. With the unveiling of this pocket watch, Hoptroff looks set to join the ranks of famous English clockmakers, such as John Harrison, Henry Sully, James Cox, and Joseph Knibb. Admittedly, that’s quite a statement. So, just what is it that makes this watch so special? Since the invention of the quartz clock, the matter of accuracy in mechanical watches has always been something of an issue. For instance, a cheap quartz digital watch bought for ten dollars at a market will be an order of magnitude more accurate than almost all of the Swiss-made mechanical timepieces, which might be on sale for a thousand times the amount. This makes the quest for mechanical accuracy by these watchmakers something of a meaningless endeavour, simply because traditional mechanical watchmaking methods can never match the level of accuracy that can be achieved by quartz watches manufactured en masse in Taiwan. Whilst an acknowledged fact, most people in horological circles prefer not to discuss this, focusing on the skill, the craftsmanship, the artistry, and the heritage of watchmaking rather than the perceived shortcomings in one of the most important functions of a watch. In short, when discussing the art of watchmaking, mechanical accuracy has been rendered moot. Which brings us to Hoptroff’s No. 10. The No. 10 is the world’s first atomic watch, and is the most accurate watch ever created. Let us not beat about the bush here. The most accurate, temperature controlled crystal oscillators (TCXOs) in the world drift by a number of seconds a year, but by comparison, the No.10 is accurate to within one-and-a-half seconds every thousand years, or, if you prefer, accurate to within less than half a microsecond per day. Not only that, but it boasts no fewer than 28 complications, including longitude and latitude, tide height, humidity, temperature, pressure, lunar transit, moon age, date, and true north. It is nothing short of a horological marvel. How does it achieve this level of accuracy? Well, as previously stated, the No. 10 is mechanical. However, unlike traditional mechanical watches that are powered by a wound mainspring, the No. 10 is electrically powered and is regulated by a Chip Scale Atomic Clock, or CSAC. 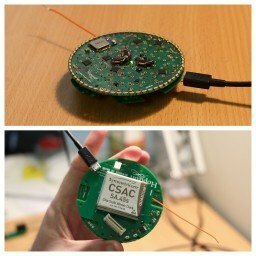 The CSAC, developed by Californian company Symmetricom, is the smallest atomic clock ever produced and was originally developed in conjunction with the US Department of Defense for military applications. 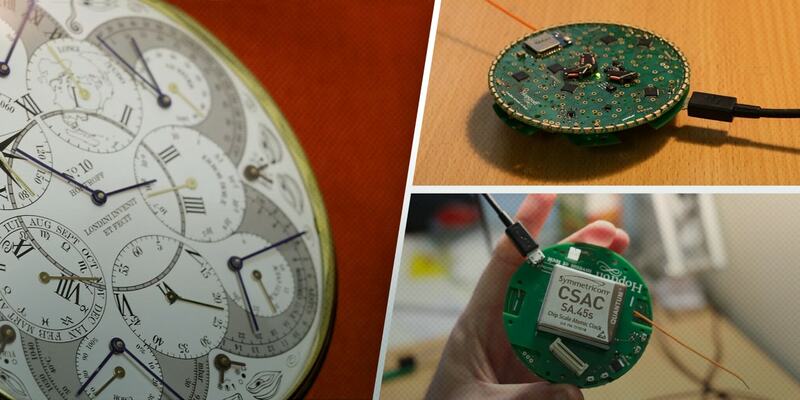 Previously, atomic clocks had been heavy, cumbersome, and energy-hungry devices, but the CSAC is different. It measures a mere 4 by 3.5 by 1.1 centimeters, weighs in at just 35 grams, and consumes a tiny 115 milliwatts. How it works requires a bit of scientific talk, so if physics was your least favourite subject in school, look away now. 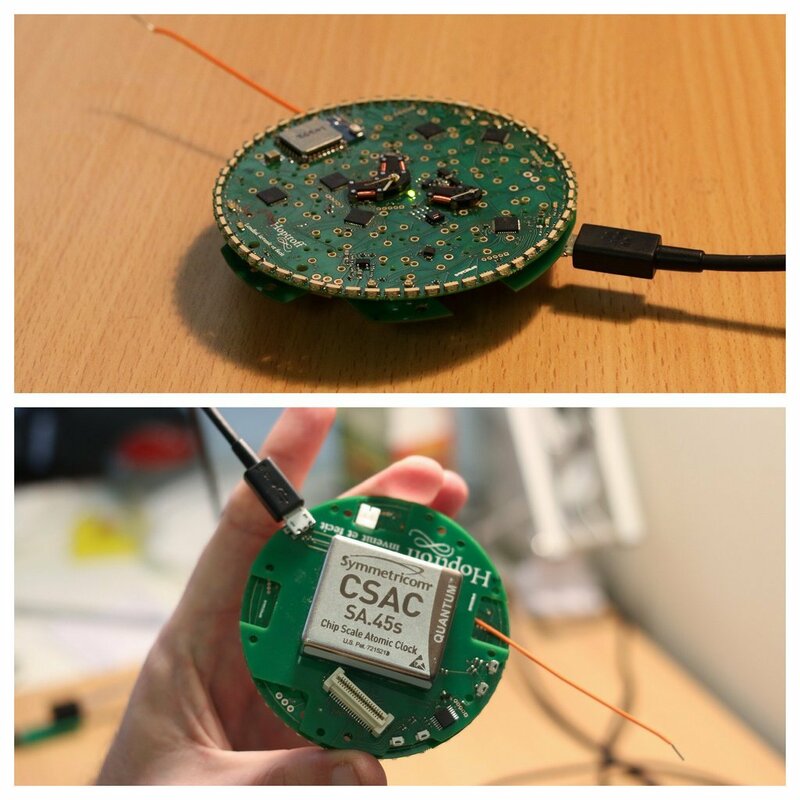 Inside the CSAC is a resonance cell containing cesium 133, which is heated to a constant 130° C by an internal oven. This creates a moderately dense vapor of cesium, which is then distributed throughout the resonance cell. The constant temperature also ensures the sensors are not affected by temperature changes that would affect the clock’s accuracy. A semiconductor laser, modulated at a frequency near the natural oscillation frequency of the caesium atoms, is then used to illuminate the vapor in the cell. The laser beam then drives the atoms into an oscillating state, where they absorb less of the light. Once the modulation frequency matches the atomic resonance, a servomotor can lock the laser’s modulation frequency to the atomic resonance, holding the clock’s output stable. A digital processor then counts the number of atomic transitions to determine the duration of a second. Whilst all this does seems rather complicated, the end result is that caesium atomic clocks are the most accurate timekeeping instruments in the world. 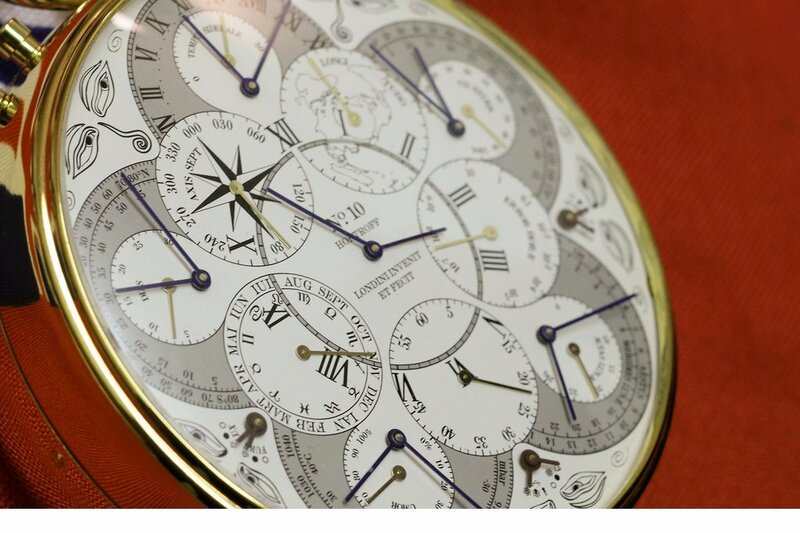 What should be recognised is that in utilising an atomic clock in a mechanical pocket watch, Hoptroff has not only created the most accurate watch in the world, but he has also fused the traditional techniques with the modern. The No. 10 is a joy to behold. Not only that, but the Hoptroff No. 10 is made by an Englishman entirely in England (as indeed the first caesium atomic clock was, too) and this should act as a reminder that it was Great Britain that were the great innovators in clockmaking, and it seems that this is still the case today. One need only look at the face of the No. 10 and the words “Londini Invenit et Fecit” inscribed upon it for confirmation. For those of you unfamiliar with Joseph Knibb or who might have lost your Latin, it means “Designed and built in London.” Hoorah! Ben Williams, Photos Mat Cradock with kind permission.